Microsoft Azure Backup Server with application workload support is currently available only in English language due to time limitations. We plan on releasing support for other languages similar to Microsoft Azure Backup agent as soon as possible, with a focus on giving users a product that is suitable for deployment. Microsoft Azure Backup Server is currently available in all geographies where Azure is available except Microsoft Azure Government datacenter and Microsoft Azure in China via 21Vianet. We are working to make it available in these geographies by end of this calendar year. 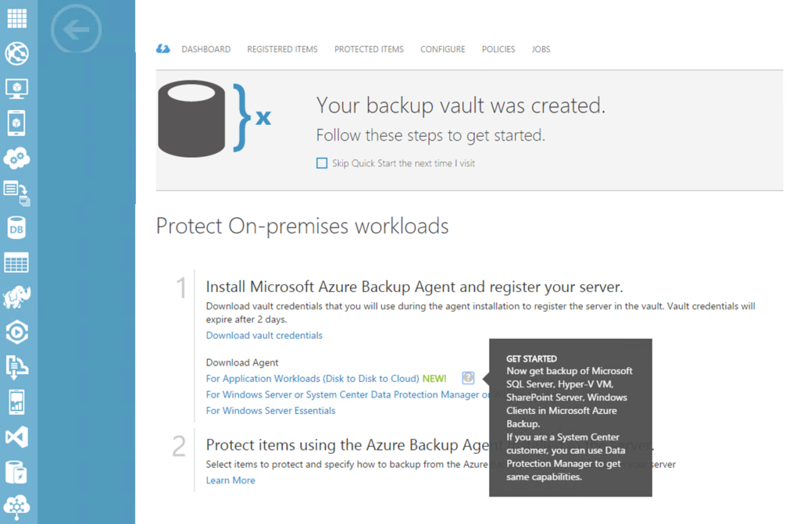 In addition to introducing workload backup capability, Microsoft Azure Backup Server comes with support for backup of large data sources, long-term retention up to 99 years, capability to recover data from Azure Backup vault using an alternate server and much more! For details around prerequisites, configuration, FAQs, etc. refer to the Azure Backup documentation.